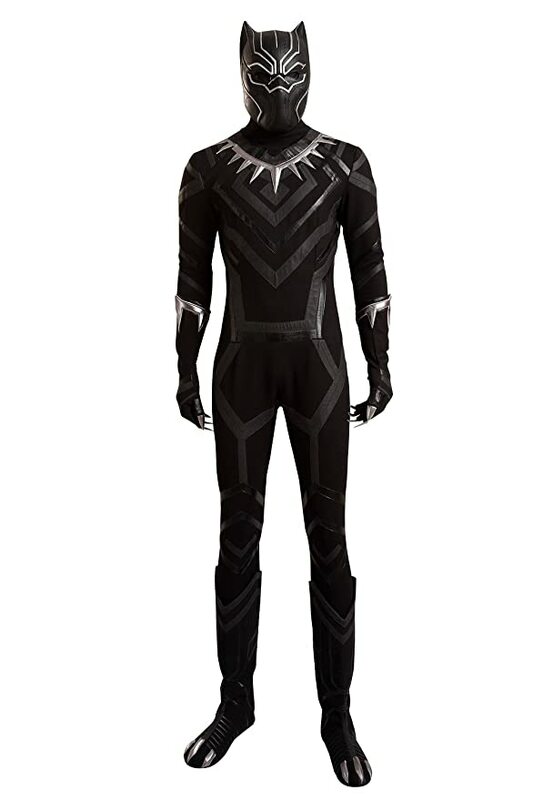 At Superheroes Central we love to find the things that people really want and these best authentic and realistic Black Panther costumes are pretty easy to love. 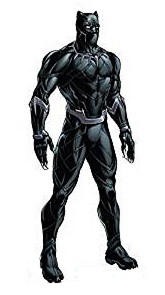 Although the iconic Black Panther character has been around since 1966, first appearing in Fantastic Four #52, it wasn’t until the amazing Chadwick Boseman brought the legendary character to life on the big screen in the 2016 blockbuster Captain America: Civil War that people really started to get on board. Boseman then followed his awesome Black Panther debut with a self titled film which broke a heap of records and ended up the 10th highest grossing film in the US of all time, and King T’Challa(The Panther’s real name) and his Kingdom of Wakanda even went on to play a pivotal role in the 2018 Avengers: Infinity War. Of course for long time fans of the superhero this was no surprise, as Black Panther has long been an important black icon. At this point in time most of the costumes out there are pretty authentic and realistic reproductions of the costume seen in the movies, so there is not a lot of real variety. But there are a few key choices you can make, like what’s the purpose of your costume? Is it just for a few laughs and to have some fun with friends and family or are you more serious and want to truly impress the hell out of people. That can influence how much you want to spend and also the style costume, for example you can get an ultra form fitting and realistic costume that totally looks like the real deal(assuming you’ve got the build to pull that off) or you can get a foam muscled jumpsuit to help you look like a real superhero (for those of us who aren’t in the best shape). So while a lot of the costumes may look the same there are still a lot of choices to be made for finding the best Black panther costume for adults that’s right for you. This is probably the best Black Panther costume because it combines a few factors, firstly the costume itself is a one piece spandex jumpsuit with a great realistic design print on it and zipper access on the back, and includes a detailed latex mask, next up is good customer satisfaction with people pretty happy with the suit. Also it is available in a huge variety of sizes, right up to men’s triple extra large, so no problem finding something that fits well. Last but not least is the fact that you get all this at a very reasonable price. it’s the perfect costume for both those who just want to have some fun aswell as those who want to look the part. 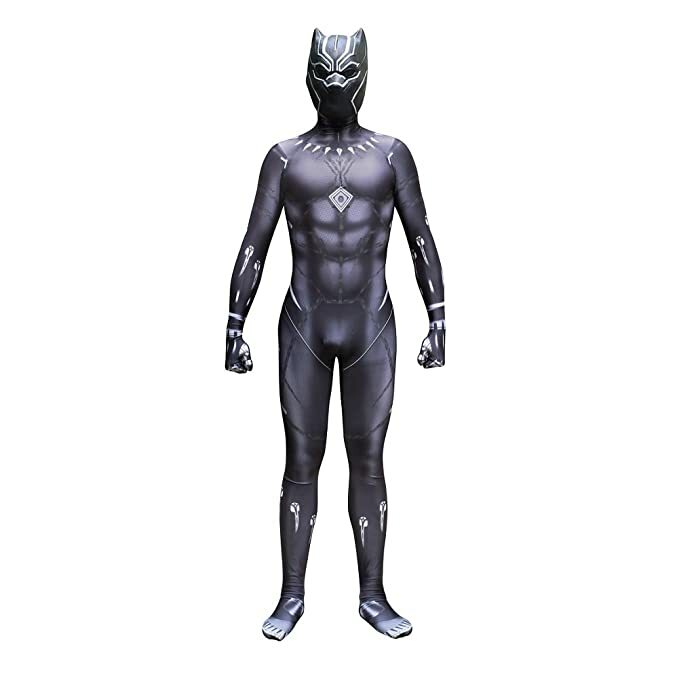 Next up we have an awesome authentic Black Panther costume which is perfect for those take it a little more serious and really want to stand out. This costume include a spandex and leather jumpsuit with detailed design, latex mask and gloves. But please note the boots are not included and you’ll have to buy some separately. Plenty of great reviews from satisfied customers. As good as this costume is, the only real problem with this costume is it’s price point, it’s a little high and really only a costume for the most serious fan. 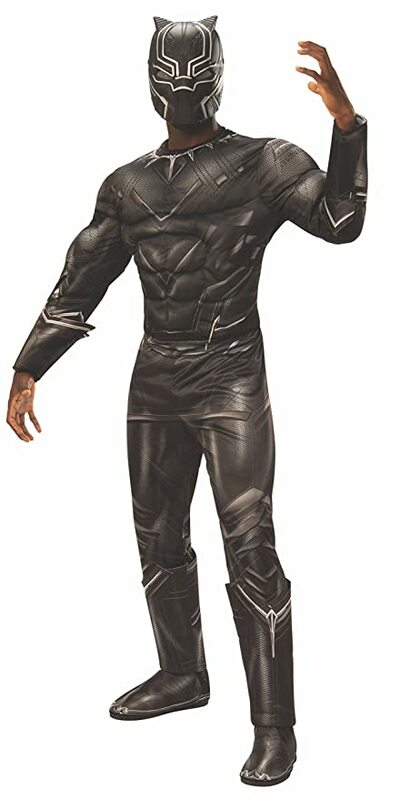 Last up we have this realistic Black Panther costume, made from polyester this printed jumpsuit looks the part not only because of the cool design, but because it has inbuilt foam padded muscles that will have looking like a real superhero, it also includes a masks aswell as 3-D boot tops and gauntlets(which are not gloves, but if you are looking for some realistic Black Panther gloves then click here). lots of good reviews and a decent price point, there only issue is that the link below is only for extra large but we have included a text link for a standard size here. This is a great costume to have some fun with. We are always looking to find interesting stuff and learn more about our favourite superheroes, and when we find really cool stuff we like to share. So we found this great clip on You Tube and we hope you find it as interesting as we did. Have a watch and enjoy. As we mentioned earlier Black Panther was first introduced in 1966 in Fantastic Four #52. His real name is T’Challa and he is the king of Wakanda. Wakanda is a secretive hidden kingdom in Africa, and although they have kept their kingdom a secret from the world, they are actually incredibly wealthy and technologically advanced, due mainly to having the world’s largest reserve of Vibranium(an incredibly strong and light material with incredible and unique properties). The Black Panther is a title that has been passed from father to son for many generations, and in addition to being the king of the many tribes of Wakanda the Black Panther has always had enhanced speed, durability and strength. According to the comic this was due to a heart shaped herb only found in Wakanda. But T’Challa’s incredible costume is due to his own intelligence and inventiveness. Lots has happened to T’Challa since he revealed himself to the world, he has been an on and off member of the Avengers, Earth’s mightiest heroes serving alongside the likes of Thor, Iron Man, Captain America, Spiderman, the Hulk, Black widow and many more famous heroes. He was even married to mutant X-Men Storm for awhile. He’s certainly been busy. superheroescentral.com is a participant in the Amazon Services LLC Associates Program, an affiliate advertising program designed to provide a means for sites to earn advertising fees by advertising and linking to Amazon.com Certain images that appears on this site comes from Amazon Services LLC. Amazon. This content is provided 'as is' and is subject to change or removal at any time. Amazon, the Amazon logo, AmazonSupply, and the AmazonSupply logo are trademarks of Amazon.com, Inc. or its affiliates.